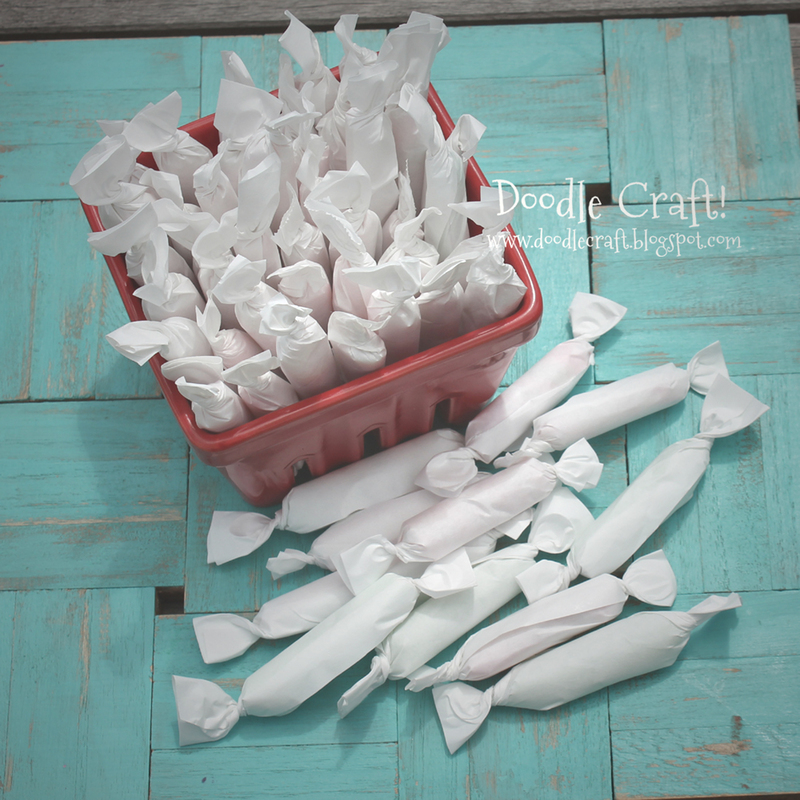 Doodlecraft: Christmas in July: Homemade Salt Water Taffy! Christmas in July: Homemade Salt Water Taffy! Easy to make...fun for kids to pull and roll...and makes about 6 dozen pieces! Combine in a HEAVY saucepan and boil. Stir regularly, but doesn't have to be constantly. flavoring--we used creme de methe for a minty treat! Let cool in saucepan a few minutes. Then pour out onto a greased cookie sheet or a silpat. sheet so we could swirl the colors. Let the sauce cool to the touch. Break off a piece and begin pulling! You need to stretch and smash it until it turns a pearlized color. And this is where the kids will want in! It's not clay. Don't roll or smoosh it on the countertop...unless they are greased. It'll make a sticky mess! into pieces on freezer paper...shiny side up! Then rolled them like tootsie rolls! It made 5 dozen pieces...and we ate a bunch...so it should make 6 dozen! Great for Holiday gift giving! Maybe for the kids to give their friends! 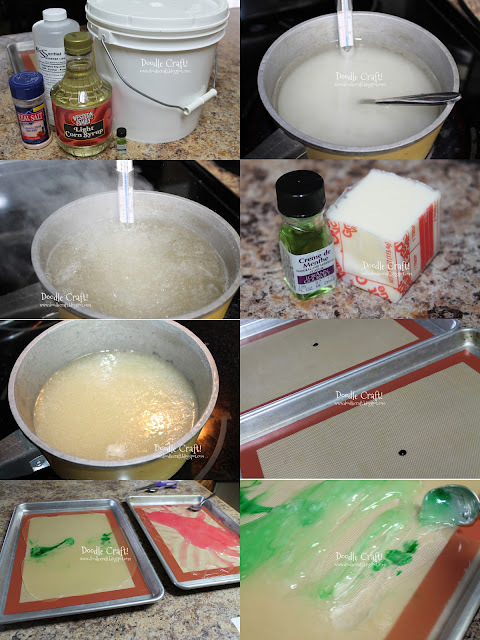 Thanks for the recipe, I've always been a big fan of candy, especially saltwater taffy. I used to drive to this little shop that was a good 30 minutes from my house just to buy them, but it closed down a few months ago. This recipe makes very similar ones to that shop I'm so happy i found it!